Home » 1940s » WW2 PO field post 1943, Germany. WW2 PO field post 1943, Germany. Cover with Postmark, postage stamp of Rottenbach in Thuringia. Sent to Muehlhausen in Thuringia. Letter during the World War II to a german soldier. Handwriting, Autograph. 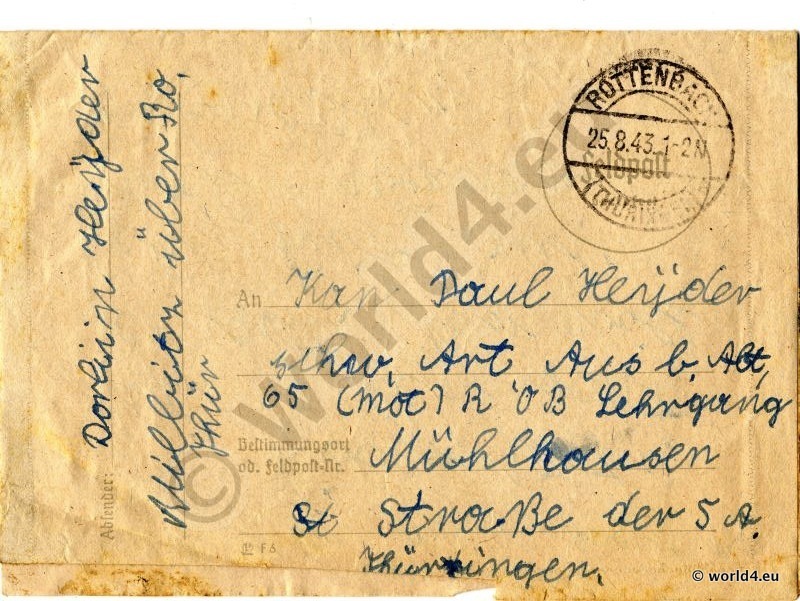 Previous PostGerman Field post letter 1943, WW2. The Burning of the Cliff House. San Francisco, California.